The Bible says, “Blessed is everyone who fears the Lord, who walks in His ways” (Psalm 128:1). Abraham not only lived a God-fearing and a devout life but also made all his family members to follow the same. This faithfulness made the Lord call Abraham and his generations as “The descendants of Abraham, my friend” (Isaiah 41:8). God greatly blessed him and the blessing extended to his descendants too. Do you want the Lord’s goodness to overflow in your life just like Abraham's? If yes, then seek the Lord with all your heart and live a God-fearing and a pious life like Abraham. A young man in an office was God-fearing and hardworking. He fulfilled his duties sincerely and faithfully. He used to complete all his tasks on time and remained faithful to God. However, his higher official envied his efficiency at work. He thought that this young man might overtake him and be elevated. So, every day he condemned him unnecessarily with harsh words and insulted him as often as he could. But do you know what happened? The God-fearing and hardworking young man was exalted by the Lord and elevated to a higher position, and the jealous officer was subdued. When you are careful to obey God’s commands and live a life pleasing in His sight; you will be blessed beyond measure. The Lord is sure to bless your soul and grant you His grace to enjoy His goodness in this life. 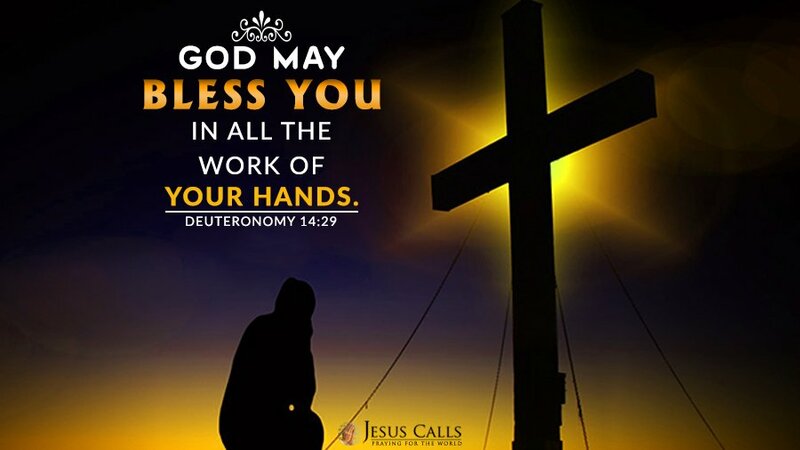 He will bless you in your family, at your workplace and in all that you undertake. Do you want your life to be blessed like Abraham? Loving Lord Jesus, give me Your grace to be God-fearing and live a life pleasing in Your sight. Fill me with Your divine goodness and bless me in all my endeavors.